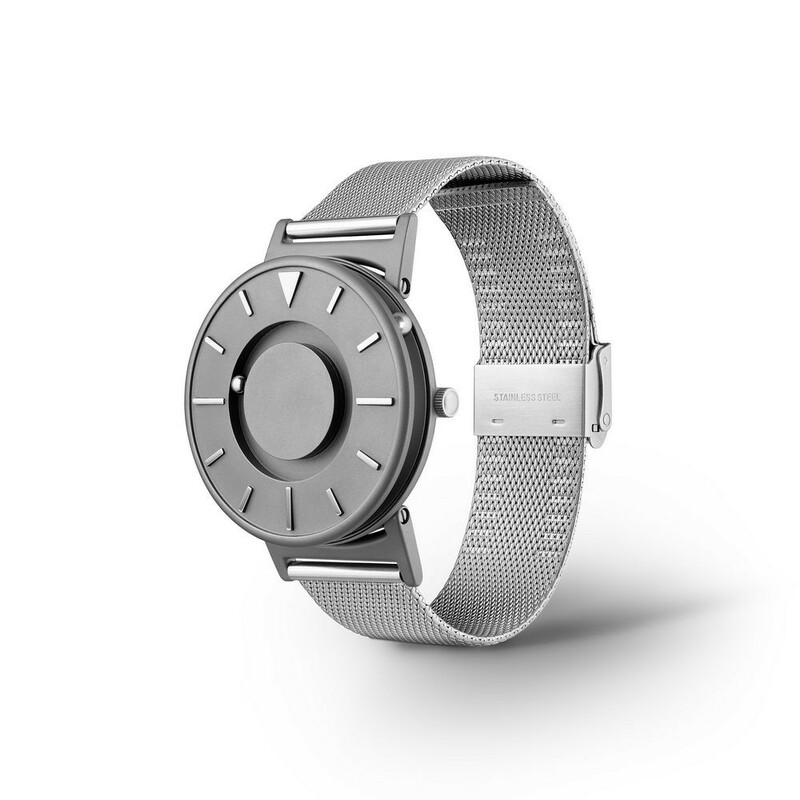 Created by US design company Eone, The Bradley is a revolutionary tactile timepiece designed for everyone to wear. 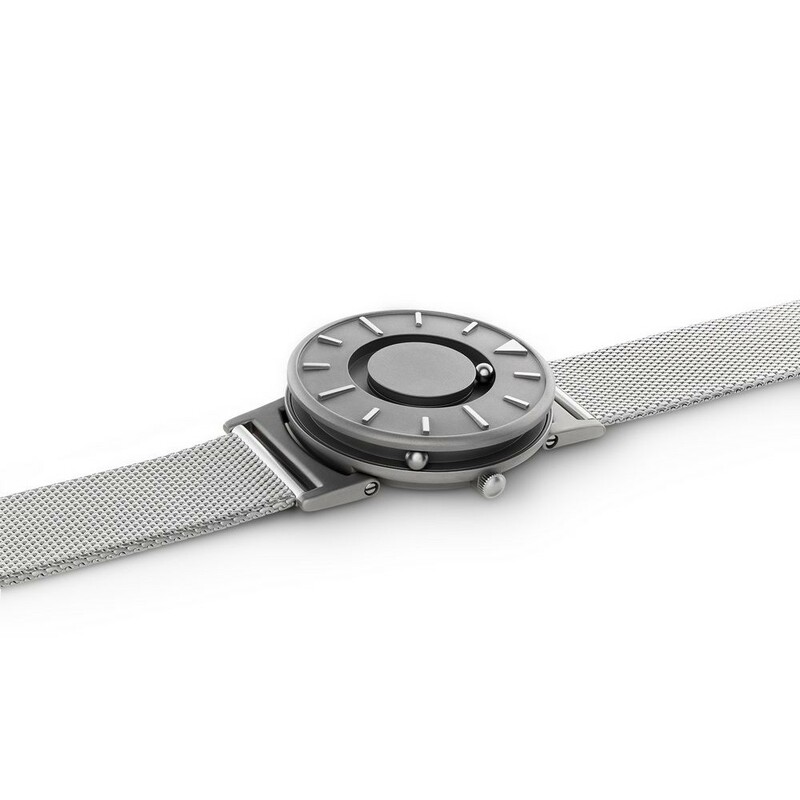 Originally developed for blind people, The Bradley contains a magnet that rotates two ball bearings around the watch face allowing users to tell the time without needing to look — the front ball indicates minutes, while the rear ball shows the hour. 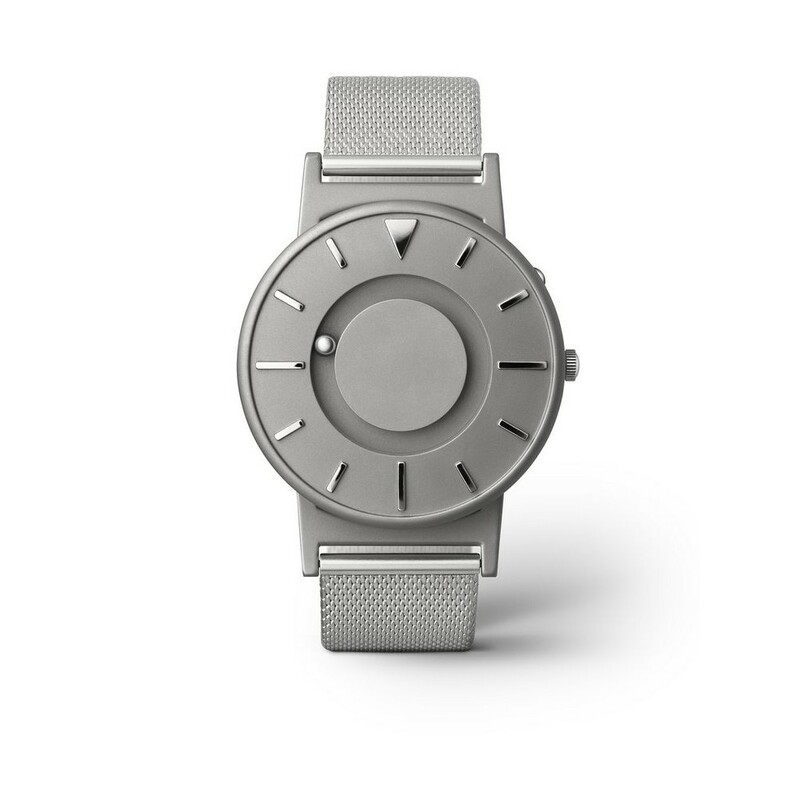 The timepiece is named after Bradley Snyder, an ex-naval officer who lost his eyesight in an explosion in Afghanistan in 2011 yet went on to win gold and silver medals at the London 2012 Paralympic Games. It was launched after a hugely successful crowdfunding campaign and has since been nominated for Design Museum’s Design of the Year award. Its sleek titanium body and discreet method of denoting the time make it ideal for anyone searching for a smart business watch. 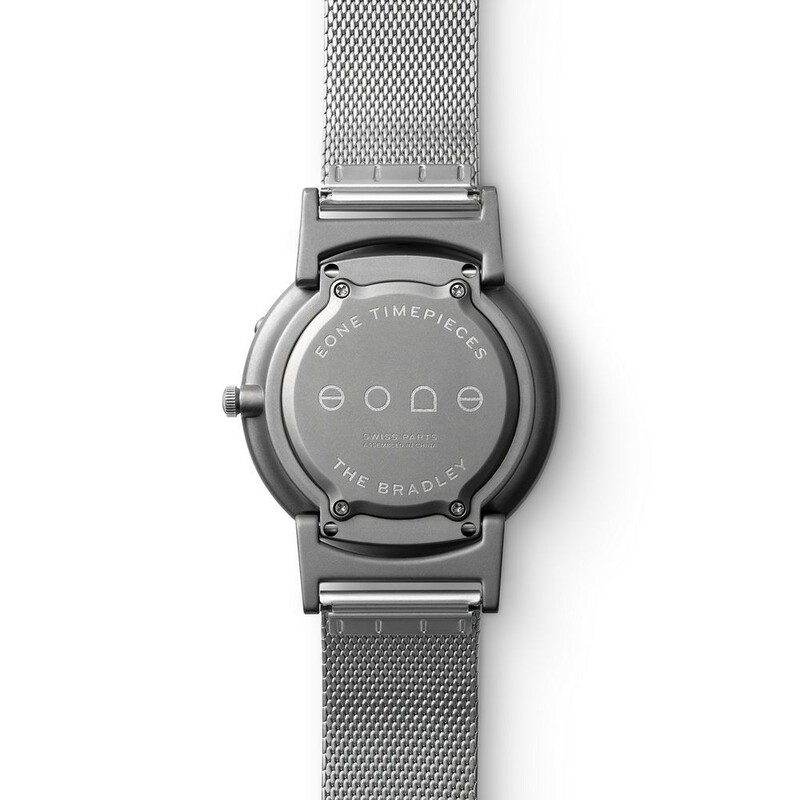 This version comes with a black stainless steel mesh strap. Water resistance: good for splashes or brief immersion in water, but not sufficient for water sports, swimming or bathing. Shock resistance: not intended to be worn during high level activity sports. The titanium casing is not scratch resistant.